Macon County Transit provides safe, reliable, accessible and affordable transportation for residents of Macon County. Transportation is provided for medical appointments, shopping, social activities, educational needs, employment and many other places. Macon County Transit services all geographic areas of the county and provides wheelchair–accessible service as needed. Anyone requiring non-emergency transportation is eligible to ride Macon County Transit. Children 5 and under must be in a car-seat and transit does not provide these accommodations. You must be at least 17 years old to ride without a parent. To request a ride call 478-472-9613 between the hours of 8 a.m. and 5 p.m., Monday through Friday. You must call 24 hours in advance for next day service. All out of town trips must be reserved at least two days in advance. Spaces may be limited, reservations are required. Fares are collected in cash only. You must give the dispatcher your name, address, telephone number, date and time of your appointment and the address of your destination. Passengers should be ready 15 minutes before the scheduled pick-up time and be at a main entrance or curbside if weather permits. 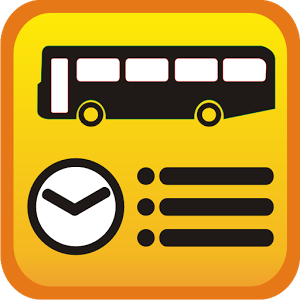 The driver is allowed to wait five minutes before proceeding to the next destination. If a Macon County Transit driver arrives and you are not home or you fail to cancel you become a no-show. You should call the Transit office no later than two hours before your scheduled time to cancel an appointment. Your riding privileges may be suspended for excessive no-shows. Macon County Transit does not run routes on Saturday or Sundays, and is closed on normal holidays observed by the Macon County Government. Eating, drinking and smoking are now permitted on Transit vehicles. Seatbelts and child safety seats must be utilized at all times. Macon County Transit is not responsible for any items left on the vehicle. Items left behind will be taken to the office. The Macon County Board of Commissioners contracted with a Third Party Operator - Resource Management Systems, Inc. to provide the transportation services for its ciizens..